If there is one thing that Del Mar Villas management is good at, it would have to be putting up signs. 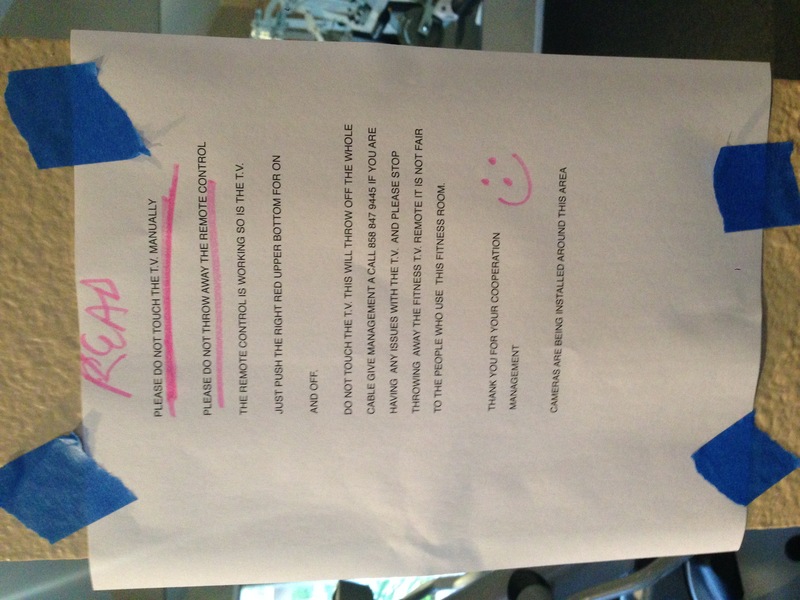 Signs of all kinds – some of them are printed, but many of them are handwritten … The latest sign, er ‘signs’ (there’s 4 copies taped to the walls and doors within 20 feet of each other is posted in the ‘gym’. Remember: Do NOT touch the TV and do not throw away the remote control. Kind of crazy that we need signs like this – especially so many of them!